ABOUT "CUTTING EDGE HAUNTED HOUSE"
Located in a 100-year-old abandoned meat packing plant in a section of Fort Worth historically dubbed as "Hell's Half Acre," the Cutting Edge Haunted House is built upon a foundation of fear. The meat packing equipment from the Old West is still in use, however now it is a two-story human processing area. 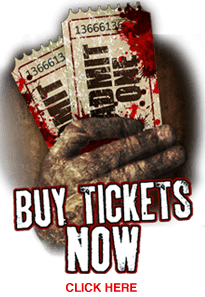 Bodies are hoisted up to the second level and brought throught the entire meat packing process untill the conveyor system brings the corpese back to the first level.Cutting Edge Haunted House offers a unqigue setting for thrill seekers searching for a high-quailty Haunted House. It takes visitors an average 55 minutes to explore Cutting Edge Haunted House. September 13,2009-Guinness World Records recently declared Cutting Edge Haunted House of Fort Worth Texas to be the "World Largest Haunted House." The new Guinness World Record holder is now officially recognized as the longest hauted house in the world. A Guinness World Records judge measured the distance of the horrifying haunted house from end to end and validated it as the longest Haunted House on record. Haunted House Ratings- Voted top 3 Haunted House in America. Its an incredible joy perusing your post.Its loaded with data I am searching for and I want to post a remark that "The substance of your post is magnificent" Great work. Thanks for publishing this kind of interesting blog post. keep up posting. This is the best Horror House I have ever been. I will suggest it to my friends.